Recruitment opportunitites with The James Mercer Group. To undertake service/repair of heating hot water and ventilation plant together with ancillary equipment and controls. We are committed to the highest standards of engineering, and require an engineer to present a professional image and be able to communicate effectively with our “Blue Chip” client base, in the North West. A company vehicle will be supplied and rate of pay will be commensurate with experience. Applications will be dealt with in the strictest of confidence. 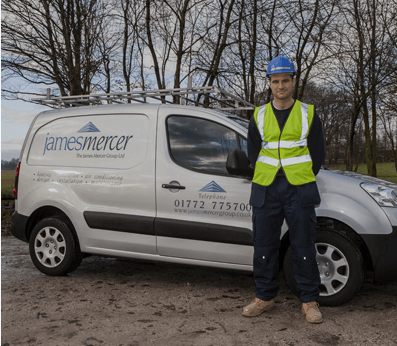 The James Mercer Group offers many recruitment opportunities at it’s Preston and Ormskirk offices. If you are interested insubmitting an application to us then send us your CV together with a covering letter to The Managing Director, The James Mercer Group Ltd, Hesketh Street, Preston, Lancashire, PR2 2RB.